Oxygenating plants are essential for your pond ecosystem. They produce oxygen below the water surface to help all your pond creatures to breathe. 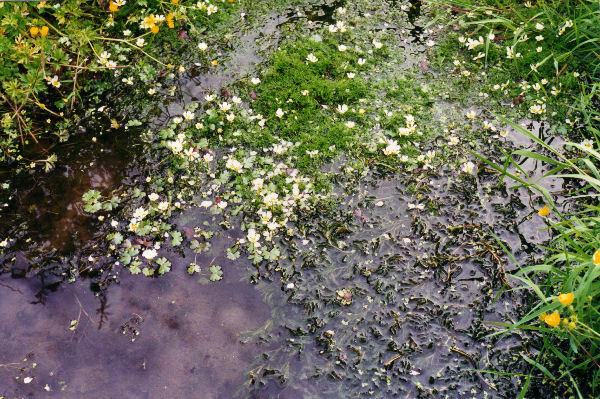 They also balance the system, when they get working well enough, to stop excessive algal growth like blanket weed. Your collection will include our home-farm-pond-propagated wild, native british oxygenators, depending on which are available at the time of year you order, selected from; Hornwort (Ceratophyllum demersum), water crowfoot (Ranunculus aquatilis), Curly pondweed (Potamogeton crispus) and Water starwort (Callitriche sp.) Each collection will be enough to start off a small garden pond. 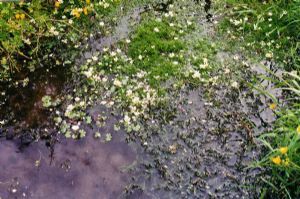 These wild plants do tend to take a year or two to get going, so you might want to add some Canadian pondweed (Elodea)that will get oxygen into your pond quicker and then remove this plant later. These plants die right down under the water in winter, so can only be sent out between May/June and September, depending on the weather.They will be sent in a ziploc plastic bag with some water and should be put into deeper water immediately on arrival, - if you are not ready to plant in your pond straight away they will be quite happy in a bucket of rainwater for a few weeks.